I woke up one morning in late November after having a night filled with dreams. In one particular dream, two animals were talking to me. One of the animals was a raven while the other was a dog. The raven had a braid in its feathers over its head. In this way, it reminded me of a Native American. The topic of their discussion was the nature of materialism. While both animals had something to say about the nature of materialism, each approached the subject from a different angle. 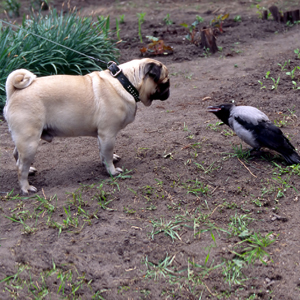 The raven had the more scientific and mystical approach to the subject while the dog had a more simplistic approach. Both argued the dangers of our over-reliance on technology and our buy-and-sell mentality. The dog argued more for how this mentality affected our relationships. The raven argued more concerning how it prevented us from learning the true mysteries of the universe. Both animals warned about the dangers of our nuclear technology, stating that we would have to find a way to band together to resolve these types of issues, or we would be compromising the future for generations below us and to come. They said we would be able to transcend this challenge if we truly wanted to. In 2014, I joined an earth empathy group on Facebook looking for answers. However, I did not really find what I was looking for there. It seemed a lot of the discussion centered on how members could “shield” themselves from picking up on external energies. To me, this idea of shielding left me feeling a little perplexed. Is what we pick up—since all of us have this ability whether we know how to use it or not—something we are supposed to try and shield ourselves from? Or is what we pick up something offered to us for our ability to learn from it? I wanted to ask Mother Nature its purpose to receive Her perspective. I took a moment to think about what She was sharing with me and what it meant. 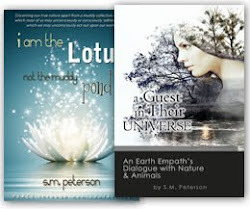 Her message then continued, “When a person empathically picks up a message that is being communicated regarding the environment, such events are, to some extent, already in form. They are potentials that are being held. For those who speak in terms of ‘vibration,’ they are a vibration that is manifesting from the vibratory level into a more concrete one. “So, we aren’t supposed to ignore or deny them,” I said. “Denying what is being communicated does not necessarily prevent a potential from occurring,” She assured me. “In fact, denying a message is simply a decision to remain unconscious regarding a potential that is forming or already in form. Awakening and becoming conscious in order to take a more mindful approach regarding an issue—without having blinders on—would yield more fruitful results. “Also, if you notice,” continued Mother Nature, “people who see healers will, at times, experience a cure only to later relapse into their former condition. This is because a root level or a change in lifestyle was not addressed fully. A problem was merely treated at a superficial and energetic level. The same applies to the body of the earth. For example, you can heal the bodies of water of the effects of a nuclear disaster, but if you continue to use nuclear technology and another disaster happens, you have not really taken care of the real problem, leaving it as one that will likely recur. 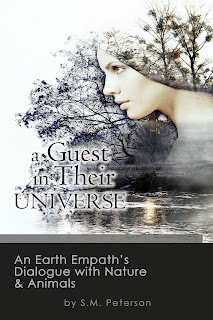 “Is there any last message you want to give regarding earth empathy?” I asked. And with this, Mother Nature had said it all. I thanked Her for Her wisdom and for the contributions She and Her creatures had offered to this story I would tell. I went outside to stand by the river’s edge, and gazed at the ducks that were swimming by. My two cats were looking up at me, as if wondering what I found so fascinating. “The beauty of creation,” were the words I would answer in my mind. I then crouched down to pet both their heads before heading inside.